Are we really at the end of the road to recovery from the banking crisis? How much has it cost us all so far? Has anything changed? Could there be another crash? And what can be done about it anyway? 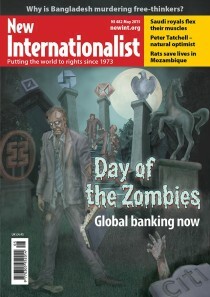 The scandals and bonuses just keep on coming, from zombie banks to shadow banks. This Big Story looks at where it all came from and why, eight years on from the banking meltdown, so little real change has been achieved. Acting on some quite simple but fundamental home truths about finance would make a big difference.